Another year is winding down and the holiday season is upon us. On behalf of the AAHS Board of Directors, I would like to wish you and your family happy holidays and a prosperous new year. I look forward to seeing many of you in Phoenix in 2018. Cheers! As we approach the end of 2017, I wanted to update Association members on their Hand Surgery Endowment (HSE). The HSE is the philanthropic wing of the AAHS. In line with the key values of the AAHS, the Endowment promotes innovation, synergy, inclusion, and outreach. 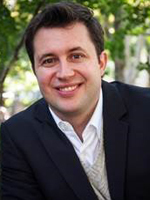 The overriding strategy over the last few years has been the support of mission work, which is often done in conjunction with the ASSH and other organizations. By often using established mission-infrastructures in underserved areas, our resources go further in supporting the surgeons and hand therapists who generously donate their time, energy, and skills. Our dedication to "promoting global hand health" is evidenced by trips to Honduras, Nicaragua, Ghana, and Vietnam, just to name a few. Though many deserving patients receive care from our members, the knowledge and experience we share with local caregivers benefits those communities well beyond the visit. Newly initiated this year, the Association and Endowment Boards will be jointly supporting "reverse fellowships." The fellowships will bring doctors from underserved areas around the world to several medical centers in the USA and Canada. 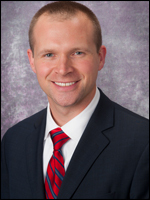 Our goal is to attract promising surgeons from underserved areas to learn from our experienced members. Our visitors will return back to their communities with knowledge and experience to share with local colleagues. We are currently in the selection process, with the first recipient winner to be announced at the 2018 annual meeting. The HSE and AAHS continue to support research through seed funding that is aimed at projects with potential for future funding. The grant process includes mentoring of applicants by our research committee to help increase the quality of applications. Currently, one grant of $10,000 is awarded, and another $10,000 grant is awarded through a match program with the Plastic Surgery Foundation. 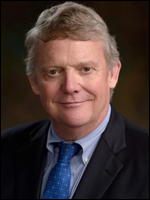 The Hand Surgery Endowment needs your generous support to continue these fantastic programs. Please remember the Endowment when you consider your annual gift giving or when you pay your Association annual dues. Every bit helps as we continue to pursue our shared mission! Have You Registered for the 2018 AAHS Annual Meeting in Phoenix Yet? The 2018 AAHS Annual Meeting at the Arizona Biltmore in Phoenix, Arizona is fast approaching. If you haven't registered yet, it's not too late! Visit the AAHS website to register today. To view the complete program and family friendly social events visit the AAHS website at meeting.handsurgery.org. Remember that spouses, guests and children of AAHS members receive complimentary registration to the Annual Meeting! Don't forget to support to the Hand Surgery Endowment (HSE) and Guatemala Healing Hands at the Silent Auction, which will take place throughout the meeting and final bids collected during the Annual Meeting Dinner Dance on Friday January 12th. If you are interested in donating an item to the auction, please contact the AAHS administrative office. It has been said that, "your bed is wonderful for great and many things, but storing your money under the mattress is NOT one of them." Most financial experts would agree that your savings are better invested than stored in order to outpace inflation. One of the best ways to efficiently grow an investment is through tax-protected retirement accounts such as 401(k), 403(b), traditional IRA, and Roth IRA. While it is out of scope to describe the differences of all of these accounts, let's take this article to more closely examine the Roth IRA. It has been said that, “your bed is wonderful for great and many things, but storing your money under the mattress is NOT one of them.” Most financial experts would agree that your savings are better invested than stored in order to outpace inflation. One of the best ways to efficiently grow an investment is through tax-protected retirement accounts such as 401(k), 403(b), traditional IRA, and Roth IRA. While it is out of scope to describe the differences of all of these accounts, let’s take this article to more closely examine the Roth IRA. Cannot directly contribute to Roth IRA if your modified gross adjusted income is greater than $118,000 (if filing as single) or $186,000 (if married). OUCH! Enter the “BACKDOOR ROTH IRA.” At present, a legal loophole exists for doctors (and others) to still take advantage of the Roth IRA…. in that there is no income limit on converting a traditional IRA to a Roth IRA. The best step by step guide (with visual aids of the tax forms) can be found at the White Coat Investor Blog. convert the balance to a Roth (you will get hit with a tax for this strategy, but it might be worth it if the balance is relatively low, say $10,000 or less). Convert the balance to a 401(k), 403(b), or individual 401(k). If your spouse doesn’t work (and doesn’t have a 401k), then you can open up an individual 401(k) as long as you can demonstrate a small amount of taxable income (say making $10 filling out online surveys). Prior to the end of the calendar year, make a $5,500 ($6,500 if over age 50) non-deductible contribution to a traditional IRA. You can use the same accounts every year (though most of the year they just have a zero balance). Make one for yourself and one for your spouse. A few days later, convert the traditional IRA to your Roth IRA account. Often when you transfer the money you will get a popup that warns, “this is a taxable event.” This is true, but the tax bill is actually zero because you already paid taxes $5,500 and you didn’t claim it as a deduction. After the conversion you can invest the money per your desired plan. Got it? If not, I would truly recommend a listen to this (free) podcast #7. 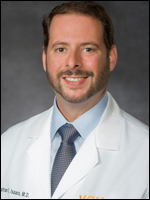 Dr. Tosti is a practicing hand and microvascular surgeon and a paid consultant of the White Coat Investor, LLC. He is not a licensed financial advisor and has not completed any formal financial training. Please be aware the advice written herein should be considered personal advice for the purposes of informal discussion and diffusion of ideas. All information given should be verified with a professional advisor. I am proud to present the newest edition of the AAHS Newsletter. 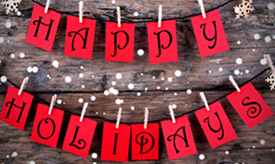 The Holiday Season is upon us and I wish you and your family good tidings and health. The annual meeting is less than one month away. I am looking forward to the scientific portion of the meeting and catching up with friends and colleagues. I wish you safe and speedy travels. I hope that you find this edition of the Newsletter informative. If you have any ideas for feature articles or topics (one time article or a recurring theme) that may be of interest to our readers, please let us know by contacting us. AAHS Invites you to follow us on Facebook, Twitter! "Like" us on Facebook to stay up to date with everything within our organization. 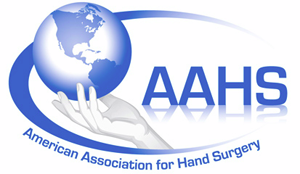 Follow AAHS on Twitter by searching "American Association for Hand Surgery" or @HandSurgeryAssn. Please join the AAHS in congratulating the following award recipients to be honored in 2017!